Real estate agents are in a weird spot. They do not get paid unless the property get sold. It does not matter how many hours of time they spent showing houses or taking phones calls and answering emails at nearly all hours of the day. Until the home gets sold the agent does not receive any payments for their efforts. With the closing of the home being the key activity that results in them getting paid then it make sense that they are nervous about anything that can halt the sale. Often when a sales contract is terminated it is the result of the home condition that was revealed from a home inspection. When this happens some agents will blame the home inspector for killing the deal. Killing the deal is what happens when the condition of the home is worse than what the potential buyer wants to deal with. It could be that the buyer wants to finish the basement however the home inspector discovered a bowing foundation and past water issues in the basement making things more difficult and expensive to do. Bad real estate agents will blame the inspector. The inspector was doing what the client hired him to do which is give unbiased information regarding the home. Ignore the fact that the current home owner of the past 20 years ignored the gutters, downspouts, grading and failed to mention the water infiltration in the basement. Most real estate agents are good, ethical, and they want the best for the buyers. Like all professions, not everyone cares as much as they should. One agent reported to us that the listing agent tried to get her not to use us because if we see evidence of rodent activity we will tell the buyers. The listing agent thought that despite it being obvious we should ignore these things. Rodent inspections is outside the scope of home inspections however if a nest of mice is staring at you you would have to a bad person not to report it. Later on this same listing agent and her husband wanted us to do the inspection for their son who was buying a home. So apparently they want thorough inspections for themselves and family but not for clients. Double standard. We have also had a real estate agency never recommend us we assumed because we never inspected for any of their buyers however for two of their agents we inspected properties that they either owned or we looking to purchase for themselves. Apparently once again agents did not want their home buying clients to get the level of inspection that the agents wanted for themselves. Once we had a buyers agent tell us that the listing agent (her broker) told the seller that it would be in their best interest not to allow our company to do the inspection for the buyer. The buyer had already scheduled the inspection with us. The broker/listing agent then told us that any of our inspectors that showed up to inspect they would be arrested for trespassing. When we informed the buyer of this he was not happy. He was stuck in the middle and found another inspection company. In this example the broker and the seller conspired to prevent the home buyer from using the company they wanted to use. This was reported to the state and the text messages from the agents was used. A few months later we had a home buyer us our online schedule system. The buyer scheduled, signed the home inspection agreement and paid all online. We then find out that the same two agents from before are involved. They told the buyers that they could not use us since there was a case against us. We explained to the buyers that the case is actually against the agents and we explained exactly what had happened. The buyer was also directed to a meeting with the agents trying to talk them out of using us. This buyer held her ground and we did the inspection. The client told me during the inspection that she did not understand all the drama and that she believes the issue was that we are more thorough than the agents wanted. Those two agents will definitely not get referrals from those clients. 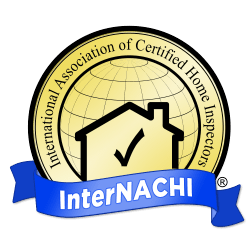 One agent in the Dayton Ohio area called us and told us that their current home inspector pays them each time they send them work. This agent than asked if we would do the same and pay him. We flatly told him no he became irritated and said to forget that he had called. When I called the broker/partner of the company he worked for the person was concerned about the situation until told who it was. He then stated, “that sounds like him, just do not do business with him.” I doubt that ethics issue is getting fixed. When dealing with real estate agents, most of them you can trust. There are those that you need to really wonder about who are they protecting, the clients making a large purchase or their own commission? Good agents will want you to know everything and want buyers to be protected. Good agents do not mind terribly if you cancel a deal because of an issue, these good agents know that by taking care of the buyers they will find another home and make a purchase there. These good ethical agents who protect home buyers earn the commissions and referrals. Unsure about your agent? Then do your research and look online regarding home inspectors. Look for one that has been around for several years and has lots of great reviews. If your real estate agent has Habitation Investigation on their list of recommended home inspectors then you have a good agent.